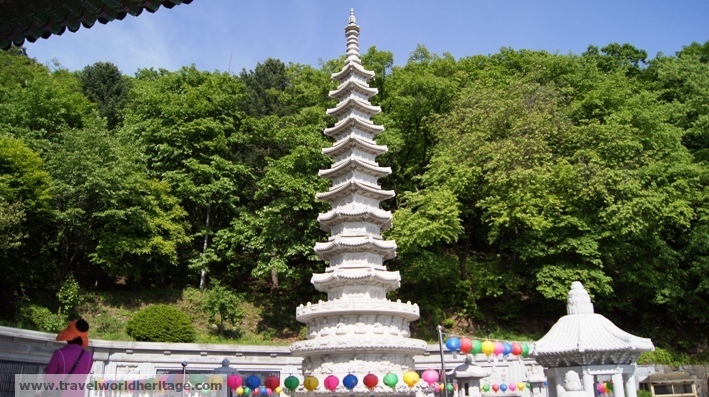 Namhansanseong is a fortress located in Gyeonggi Province just a few kilometers south east of Seoul. 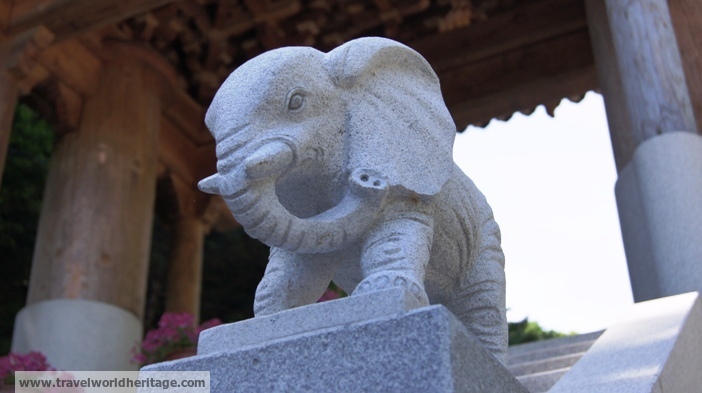 Ancient tradition states that it was the birthplace of Onjo, the founder of the Baekje. 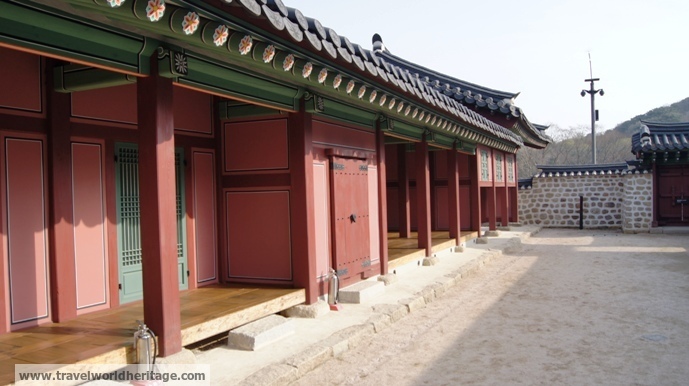 It is very similar in structure to Hwaseong as what remains today is traced back to that same era (Joseon Dynasty). It is most famous for its siege and defense against the invading Manchu army in the 1600s. Although Joseon eventually did surrender this fort, it was never destroyed as its walls could not be breached. It remains a local favorite for weekend hikes. The wall encircles the whole area. One of the best things to do here is hike the actual wall. While most Koreans love hiking, this wall is deserted as the locals prefer to try some of the restaurants within the walls. The temples are quite impressive and worth a look, too. I enjoyed coming here on weekends when the sun was bright, but not too strong. The emergency palace was rebuilt not long ago. 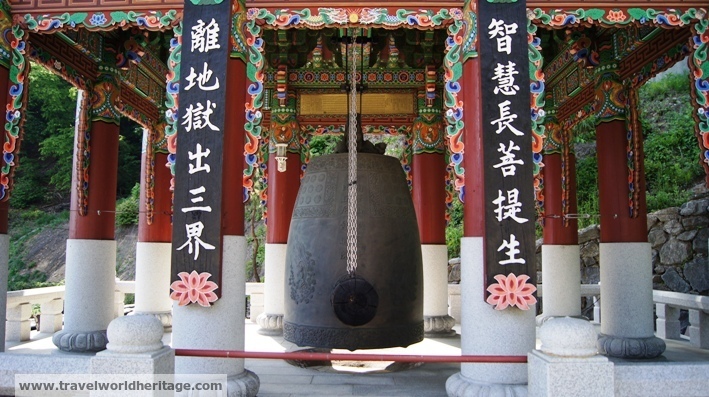 It was where the king would hide if the main palace in Seoul was overrun as it was protected by the mountains. There were quite a few of these ’emergency palaces’ in the past, but most were destroyed by the Japanese invasion and the Korean War. 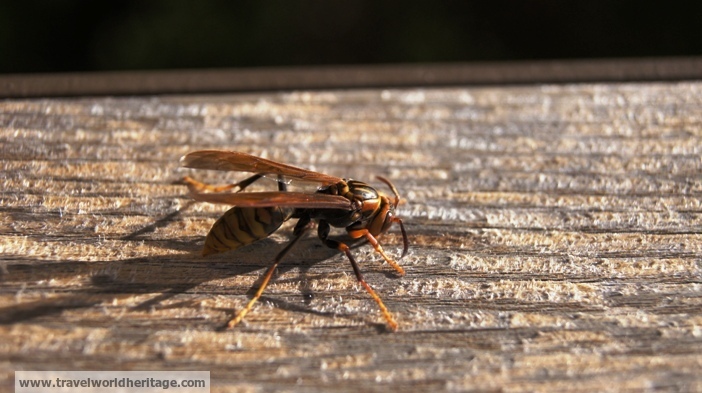 This cousin of the Asian Giant Hornet is abundant in the area. 1) Completeness and Originality (8/15): It is original, but with the hundreds of hikers coming every weekend, it is hard to appreciate it fully. 2) Extensiveness of the Site (2/15): You’ll be done in an hour and a half or so. 4) Personal Impact (6/15): Great spring weekend getaway. The food is quite good anywhere in the town. 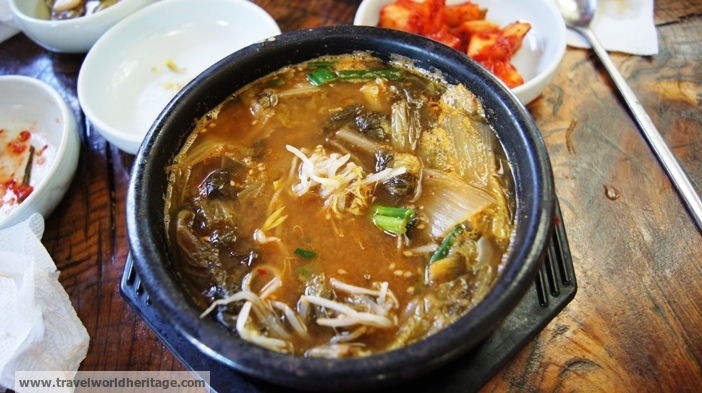 5) Logistics (2/10): Unfortunately, unless you speak Korean, this is not easy to get to. You must first take the subway to Namhansanseong station. For non-Korean speakers, just follow the crowds as they get on a local bus up the mountain (Korean hikers are easy to spot as they are almost always middle aged and wearing windbreakers of questionable fashion). The buses are usually marked, but only in Korean (I predict this will change now that it is a UNESCO site). On good weekends, prepare to be squished like a sardine and have an incredibly uncomfortable ride up the mountain for about 20 minutes. Your other option is to take a cab up the mountain which will cost about 15 USD. 6) Uniqueness (2/20): With Konju (and its wall) not yet a UNESCO site, I was wondering why this got picked first. 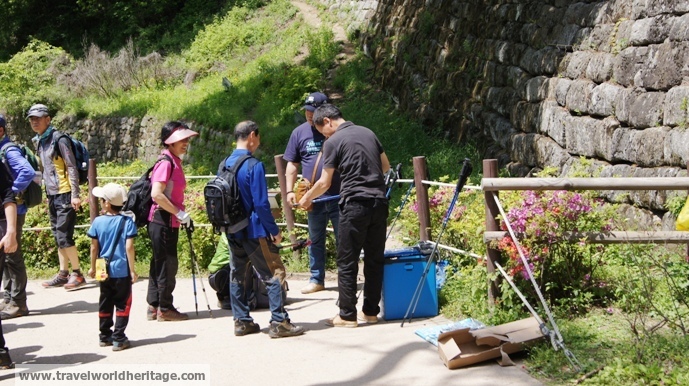 This guy selling walking sticks at the foot of the mountain is the best salesman in Korea. Historic Areas of Baekje will be evaluated in 2015. 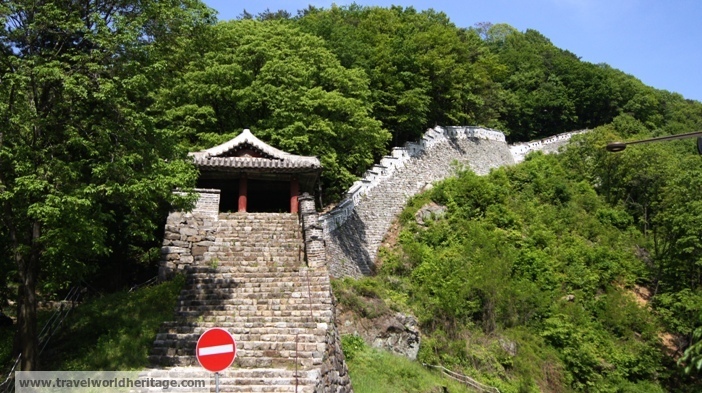 This is a serial nomination of 8 components, Gongju City Wall being one of them. 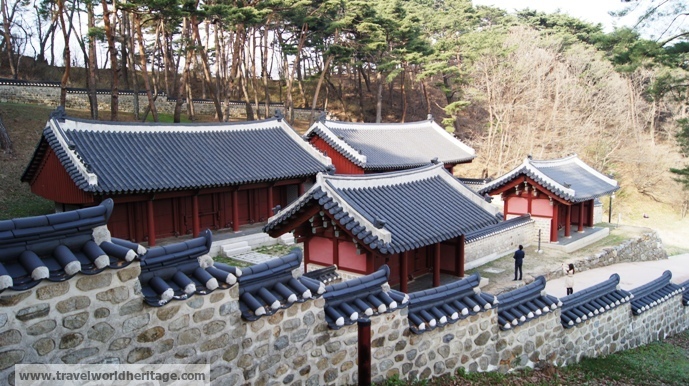 The fortress, like Hwaseong, was built primarily during the Joseon period, Namhansanseong is about 175 years older and far better preserved that its counterpart in Suwon. I really hope the Baekje sites get picked as the Buyeo complex would get some more visitors. As far as extensiveness goes, it refers to how long it would take me to take in the ‘feel of it,’ not literally hike the whole thing. I understand it is kind of arbitrary, but with Suwon having the beautiful flood gates, outdoor towers, and the palace with that fantastic mosaic-like tiles, it really takes longer to feel like, “Yeah, I get what this site is all about.” I want to spend a longer time there. 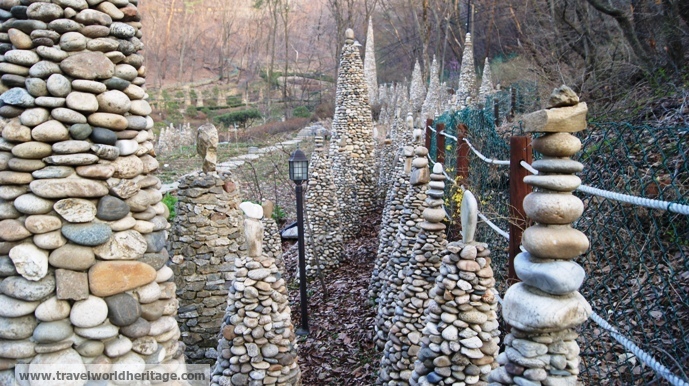 Namhansanseong on the contrary does not require me to hike the whole thing to feel done. After about an hour and a half, I am satisfied. Both times I was in Namhansanseong, it was under construction, especially around some of the minor gates. Maybe I did overrate Hwaseong a bit though, but I plan to do a re-evaluation (of all sites) once I hit 50 UNESCO reviews (I did it once when I hit 15) to better balance the bunch (kind of like a patch). As you can imagine, it becomes a difficult task the more one does. While in some ways arbitrary, I do enjoy your evaluation method. I enjoyed both fortresses, but Namhansanseong peaked my interest more for (3) reasons. Firstly, it was used in a massive battle that altered the fate of Korean history (Hwaseong was never used in war) and the fortress walls largely escaped damage or destruction during Korea’s tumultuous 20th century. Lastly, Namhansanseong’s location in a provincial park is quite scenic, particularly in Spring and the Fall. 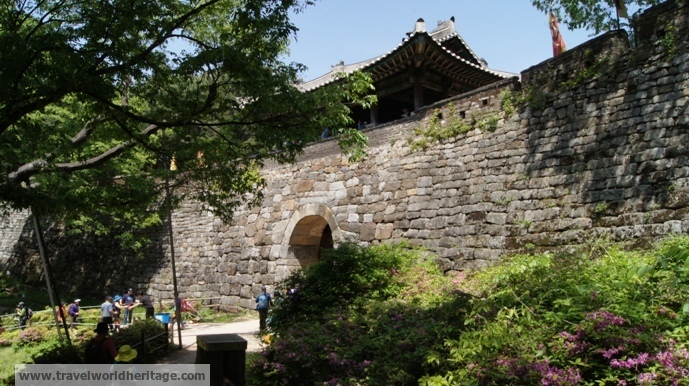 Hwaseong probably has the most impressive gates than any other fortress or city wall in Korea. However, large portions of the fortress were completely destroyed during the Korean War, and were rebuilt in the 1960’s – 70’s. I look forward to your posts, while I may disagree slightly now and then, your perspective is interesting! Thanks for the vote of confidence. I gotta say though, the Seoul Wall has the best gates :). I hope to do Bulguksa soon and complete the whole Korea collection. I assume you’ve been to all 11 sites as well right? Yes, and 11/17 of Korea’s tentative nominations. 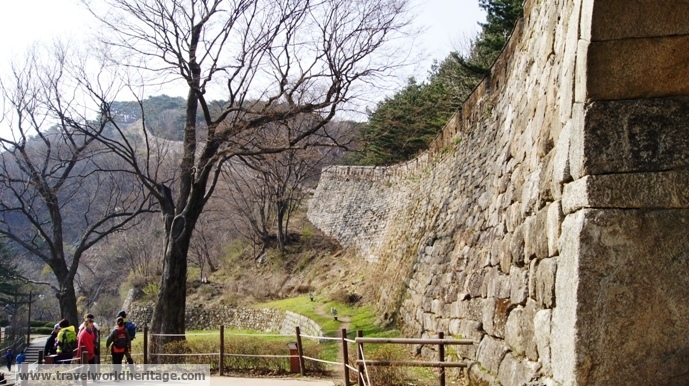 Seoul City Wall will be evaluated by UNESCO in 2017. Safe travels. Dang, that is impressive. I just looked at the tentative list. Been to 8/17. 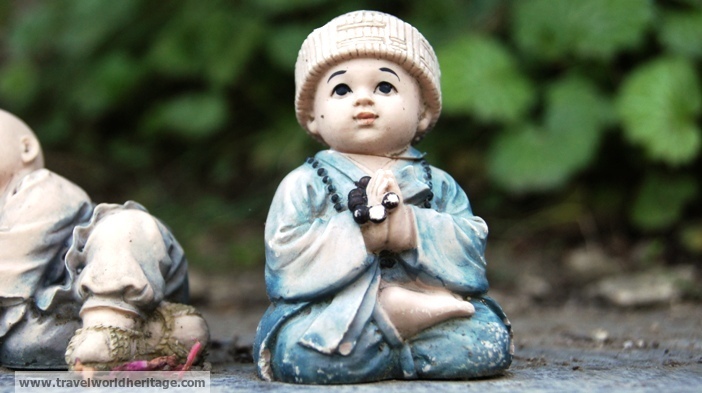 I don’t know if you have made it to Sa-do, which is part of this one http://whc.unesco.org/en/tentativelists/1640/. Highly recommended. One of my favorite spots in all of Korea, despite being so out of the way.